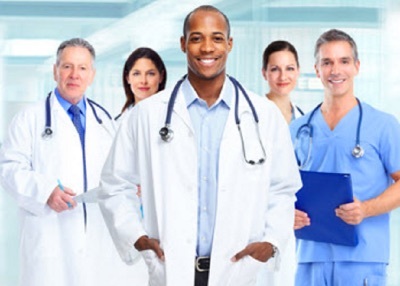 The Federal Supply Schedule for Professional Healthcare and staffing awards contracts to physicians, dental related services, EMT paramedics, audiologists, licensed practical or vocational nurse, perfusionist, occupational therapy, cytotechnologist, Kinesio therapist, clinical laboratory science services, certified pharmacy technician and dietician/nutritionists. Other professionals that might secure contracts under this schedule include certified/licensed midwife, physicist, electro-neurodiagnostic technologist, chiropractor, genetic counselor, ophthalmic services, respiratory therapist, certified nurse anesthetist, radiologic technologist and surgical technologist. Any medical professional interested in the contracts can confirm with the comprehensive listing of special items numbers under GSA 621 I schedule. GSA schedule 621 contains special Item Numbers (SINs) from 621-001 to 61-099. And contractors are required not to honor any order with a combination in excess of these special numbers plus the maximum order threshold should be $1,000,000. Any issued order against the GSA schedule 621, for Professional and allied health care services, the ordering activity must show compliance with VHA Directive 0710, entitled Personnel Suitability and security program. One must also obtain appropriate background clearances in order to fully satisfy the order. For contractors, they should not request bid submission containing all inclusive rates’. However, the contracting facility or officers must return order identifying all inclusive rates’ or those exceeding the not to exceed’ rate to the relevant ordering activity. Even medical recruiters can take advantage of this contract. For any medical professional in need of solicitation, he or she can obtain a copy of the 621 I solicitation or contact customer care through the subject line 621 I Solicitation Request. The solicitor is advised to retain a copy of solicitation and proposal for the records. And it should be noted that those offering contracts and contractors are responsible for complying with the provisions and clauses contained in the solicitation document. With the FSS experiencing streamlined acquisition, the program leads to lower administrative costs, shorter lead times and reduced inventories. FSS contractors can experience growth opportunities since there is limited access to government market and competition. Ordering from the schedule simplifies the process of acquisition leading to shorter lead times and reduced administration costs. If you are interested in getting on GSA Schedule 621, contact GSA Scheduler today.